3:10 hrs. PBS. 2018. $12.99. ISBN 9781531701475. 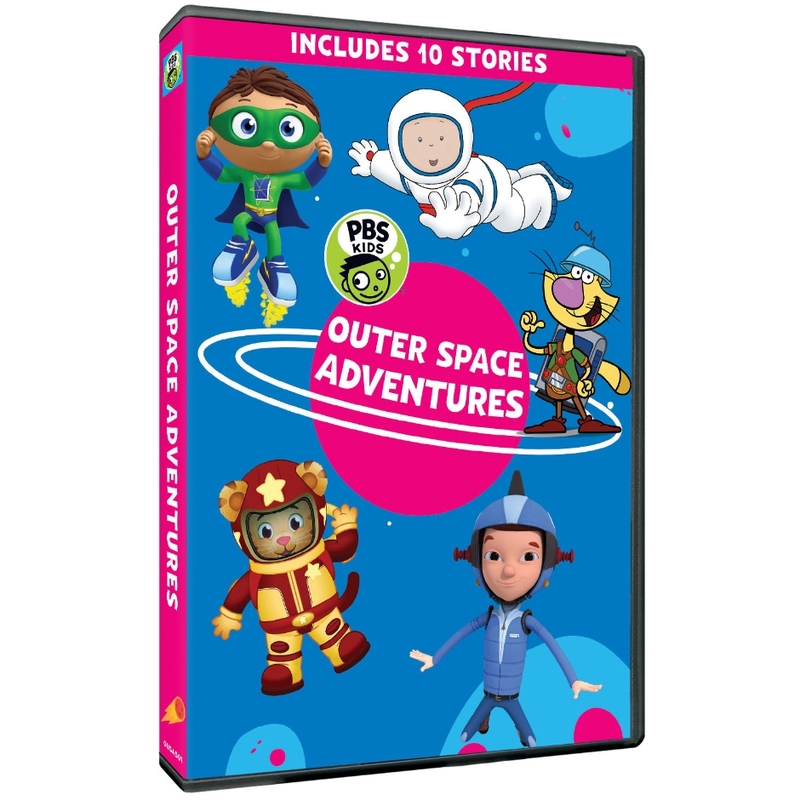 PreS-Gr 2—Ten space-themed segments from eight popular PBS Kids series are featured in this one collection. Popular characters learn about space and space exploration by building rocket ships to travel to the Moon and beyond or by pretending to in their classrooms and backyards. Most segments are from series with characters animated in 3-D, with more exciting scenes for an older audience, such as in Super Why! and Ready Jet, Go! Traditional 2-D animated series like Caillou and Peg + Cat have segments that are calmer and better suited for younger viewers. The variety of programs will be a strong draw for children who like different series and will appeal to a range of age groups. Some episodes include a review or live-action portion with scientists to recap concepts mentioned or explored with real-world examples and footage. Episode lengths are short enough to share in classrooms, with have time for lessons, or can be linked together for extended viewing times. VERDICT The variety of popular series can help introduce younger children to space exploration. Recommended for elementary schools and collections serving younger viewers.